Lunar New Year is a time to meet up with relatives, eat too much, and watch movies. Today I went to see La La Land, and it was a nice feel-good movie for the holidays. Viewers are immediately swept up in the opening scene of gridlock on a Los Angeles highway, but then suddenly a young woman breaks into song and dance and everyone else gets out of their vehicles for an impromptu dance party. But your disbelief is suspended then and pretty much for most of the movie. 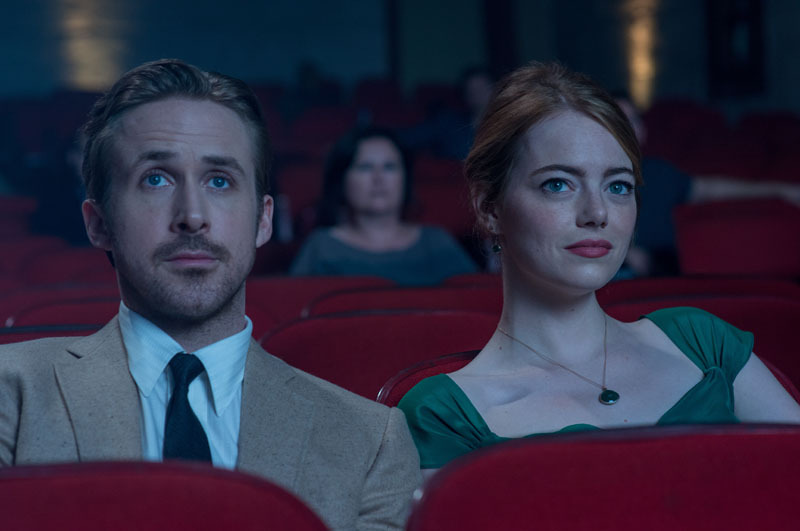 We soon meet Mia (Emma Stone), a struggling actress trying to get her big break, and Sebastian (Ryan Gosling) an ardent jazz aficionado. It takes them three chance encounters to realize a spark between them, and viewers soon disccover it's their idealism that brings them together, and only in LA. 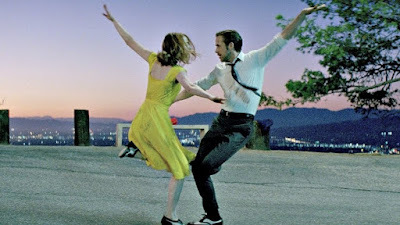 Gosling and Stone are great together, and pretty impressive they not only sing but dance too, harking back to the singing and dancing films like Singing in the Rain and Fred Astaire and Ginger Rogers, but now with iphones, Priuses and cappuccinos. Gosling also plays the piano with ease. And the colours! They are so technicolour brilliant that you have to wonder if they were digitally enhanced like the scene where Stone and Gosling first sing and dance together at sunset. But according to director Damien Chazelle, they really did shoot the scene at the "magic hour", and they only had the chance to do five takes. However it can't all be hunky dory -- tensions arise when the dreams of how they envision their careers take different paths, and the ending isn't what you expect it to be, but the wistful what-ifs are a bit too predictable. Nevertheless, we couldn't help but be swept off our feet with La La Land, with the intense colours, singing, dancing, wry humour and a big dollop of escapism, especially in these uncertain times.